An award-winning investigative journalist presents an in-depth exploration of the concept of ecorealism, predicting that the Pollution Age is nearing its end and that environmentalism offers humanity a chance to transform society for the better. 20,000 first printing. This is a well-documented examination of the effects of human society on the global environment. Easterbrook's conclusion: Things are getting better, not worse. 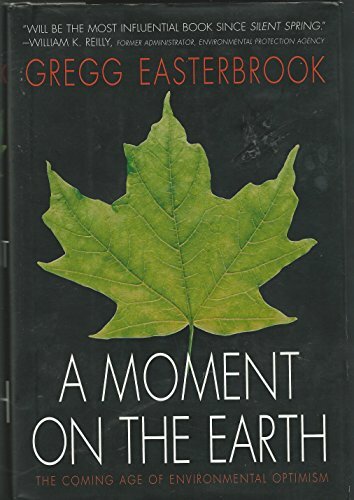 Not surprisingly, this book has generated considerable controversy in many circles of environmentalists and ecologists, and many of his arguments only apply to overly-developed nations. For example, he stumbles <i>badly</i> when dealing with tropical rainforests, completely ignoring the fact that clearcutting in tropical environments leads to essentially irreversible loss of soils and a sterile clay pan. But all in all, I recommend this book highly to everyone interested in the proper interpretation of long-term ecological trends. In my opinion, he is as often right as wrong, and habitual doomsday-sayers would do well to seriously consider and possibly adopt some of his positions on ecorealism.